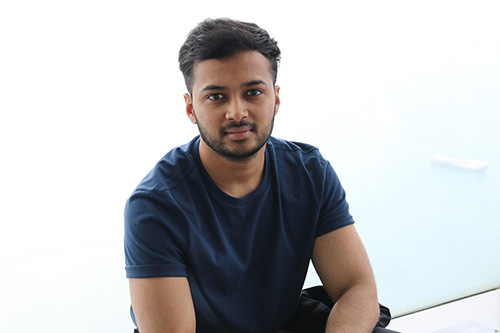 Nigel Fernandes studied Business Computing Systems at City and undertook placement at Hewlett Packard (HP) as a Management Information Analyst. I undertook a 14 month placement with Hewlett Packard (HP) as a Management Information Analyst. The job entailed various responsibilities such as analysing forecasted data which was used to support nine sales directors across three regions. Each consisted of more than 200 accounts with a value of over three billion pounds. The results were then used to evaluate business operations and make key decisions. I also organised and managed forecast meetings for key sectors, in order to create and execute future business planning. Using Visual Basic for Applications (VBA) and Microsoft Excel at an advanced level, I had to improve current tools in order to analyse and present complex data more effectively. This data was then used to inform decisions made by sales directors. The placement was a fantastic opportunity to refine and gain new skills in a professional environment. It not only allowed me to develop hard skills such as VBA and data analysis but it also enabled me to develop and improve core skills such as presentation, communication and organisation. One of the most memorable moments during the internship was jointly raising £100,000 with other interns for various charities. We completed the Palace to Palace bike race (Buckingham Place to Windsor Castle) and the three Peaks challenge which involved climbing the tallest three mountains in the UK. Completing a placement with HP not only helped me build interpersonal skills but it also laid down a solid foundation for my career going forward. During my placement, I was able to understand what I liked and disliked. This helped me to make better informed decisions when applying for graduate schemes the following year. Furthermore, completing a placement significantly increased my chances of a securing graduate schemes within the field of IT.